Cluster analysis groups data based on the characteristics they possess. Cluster analysis groups objects based upon the factors that makes them similar. Cluster analysis is otherwise called Segmentation analysis or taxonomy analysis. Cluster analysis does not differentiate dependent and independent variables. Cluster analysis is used in a wide variety of fields such as psychology, biology, statistics, data mining, pattern recognition and other social sciences. There are two main purposes of cluster analysis – Understanding and Utility. In the purpose of Utility, cluster analysis provides the characteristics of each data object to the clusters to which they belong. Cluster analysis goes hand in hand with factor analysis and discriminant analysis. What variables are relevant ? Is the sample size enough ? Can outliers be detected and should it be removed ? How should object similarity to be measured ? Should data be standardized ? It is assumed that the variables are not correlated. Even if variables are correlated remove correlated variables or use distance measures that compensates for the correlation. 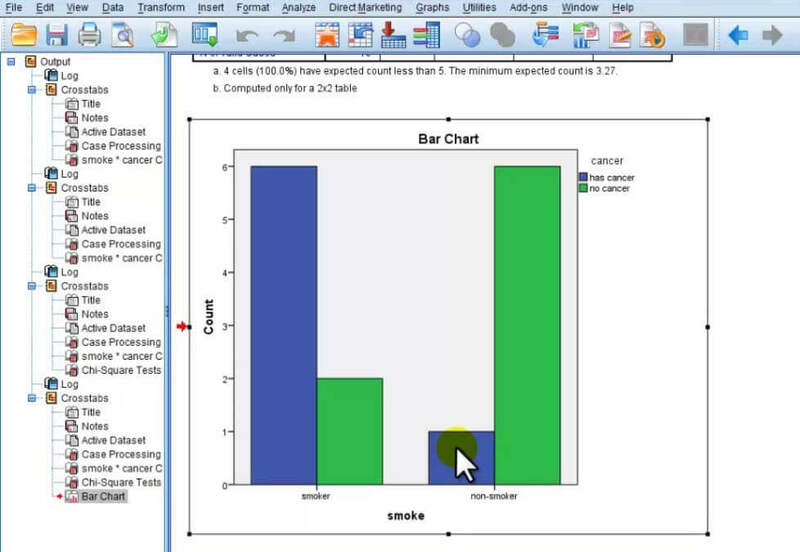 In SPSS you can find the cluster analysis option in Analyze/Classify option. In SPSS there are three methods for the cluster analysis – K-Means Cluster, Hierarchical Cluster and Two Step Cluster. K-Means cluster method classifies a given set of data through a fixed number of clusters. This method is easy to understand and gives best output when the data are well separated from each other. Two Step cluster analysis is a tool designed to handle large data sets. It creates clusters on both categorical and continuous variables. Hierarchical cluster is the most commonly used method of cluster analysis. It combines cases into homogeneous clusters by bringing them together through a series of sequential steps. Given below are the steps for performing Hierarchical Cluster analysis in SPSS. In the dialog box plots, add the Dendrogram. Dendrogram is the graphical representation of the hierarchical cluster analysis method. It shows how the clusters are combined at every step until it forms a single cluster. The dialog box method is crucial. You can mention the distance and clustering method here. In SPSS there are three measures for Interval, counts and binary data. The Squared Euclidian Distance is the sum of the squared differences without taking the square root. In the Binary section you have a lot of options to choose. Squared Euclidean distance is the best option to use. Next step is to choose the cluster method. It is always recommended to use Single Linkage or Nearest Neighbour as it easily helps to identify the outliers. After the outliers are identified you can use Ward’s Method. It is descriptive, theoretical and non inferential. 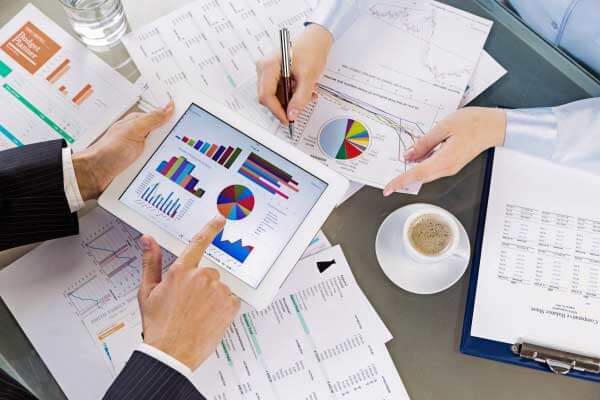 What is Factor Analysis ? Factor analysis is an explorative analysis which helps in grouping similar variables into dimensions. It can be used to simplify the data by reducing the dimensions of the observations. Factor analysis has several different rotation methods. Factor analysis is used mostly for data reduction purposes. Exploratory method is used when you do not have a pre defined idea about the structures or dimensions in a set of variables. Confirmatory method is used when you want to test specific hypothesis about the structures or dimensions in a set of variables. Screening of variables – It is helpful in regression and identifies groupings to allow you to select one variable that represents many. The data should be open and responsive for factor analysis. It should not be in such a way that a variable is only correlated with itself and no correlation exists with any other variable. Factor analysis cannot be done on such data. Principal component factoring – Most commonly used method where factor weights are computed to extract the maximum possible variance and continues until there is no meaningful variance left. A plot of the eigenvalues against the number of factors, in order of extraction. The number of factors extracted is found out so that the increasing percentage of variance extracted by the factors reaches the level of satisfaction. Factor analysis is used in various fields like Psychology, Sociology, Political Science, Education and Mental health. Click the Descriptive tab and add few statistics under which the assumptions of factor analysis are verified. Principal Components (PCA) is the default extraction method which extracts even uncorrelated linear combinations of the variables. PCA can be used when a correlation matrix is singular. It is very similar to Canonical Correlation Analysis where the first factor has maximum variance and the following factors explain smaller portion of the variance. The second most general analysis is Principal axis factoring. It identifies the latent constructs behind the observations. Next step is to select a rotation method. The most frequently used method is Varimax. This method simplifies the interpretation of the factors. The second method is Quartimax. This method rotates the factors in order to minimize the number of factors. It simplifies the interpretation of the observed variable. Next method is Equamax which is a combination of the above two methods. Before saving the results to data set, first run the factor analysis and check for assumptions and confirm that the results are meaningful and useful. The objective of cluster and factor analysis are different. The objective of cluster analysis is to divide the observations into homogeneous and distinct groups. The factor analysis on the other hand explains the homogeneity of the variables resulting from the similarity of values. Complexity is another factor on which cluster and factor analysis differ. The data size affects the analysis differently. If the data size is too big then it becomes computationally intractable in cluster analysis. The solution to a problem is more or less similar in both the factor and cluster analysis. But factor analysis provides a better solution to the researcher in a better aspect. Cluster analysis do not yield best result as all the algorithms in cluster analysis are computationally inefficient. Factor analysis and cluster analysis are applied differently to real data. Factor analysis is suitable for simplifying complex models. It reduces the large set of variables to a much smaller set of factors. The researcher can develop a set of hypothesis and run factor analysis to confirm or deny these hypothesis. 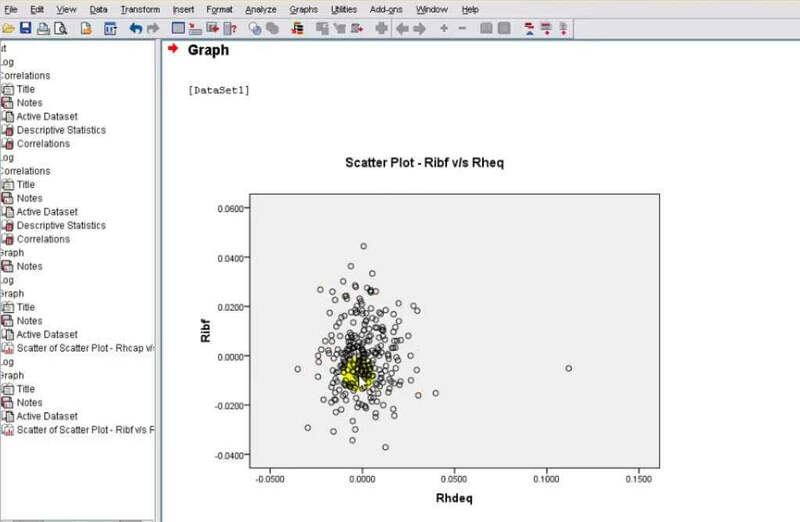 Cluster analysis is suitable for classifying objects based on certain criteria. The researcher can measure certain aspects of a group and divide them into specific categories using cluster analysis. Cluster analysis attempts to group cases whereas factor analysis attempts to group features. Cluster analysis is used to find smaller groups of cases that are representative of a data as a whole. Factor analysis is used to find a smaller group of features that are representative of data sets original features. The most important part of cluster analysis is finding the number of clusters. Basically clustering methods are divided into two – Agglomerative method and Partitioning method. Agglomerative method starts with each case in its own cluster and stops when a criteria is reached. Partitioning method starts with all cases in one cluster. Factor analysis is used to find out an underlying structure in a set of data. Hope this article would have helped you to understand the basics of Cluster analysis and Factor analysis and the differences between the two. It is fantastic article that helps me differ the two analysis technics. I was struggling in choosing the right one. Huge Thanks to the author.